The complexity of operating helicopters requires exceptional industry experience, combined with outstanding recognition of customer needs and requirements. No matter if it’s single tasks such as CAMO control, Part 145 maintenance orders, quality control and storage, Return to Service (RTS) requirements or Full-Service Helicopter Management– our customers can depend on our years of experience - anytime, anywhere. 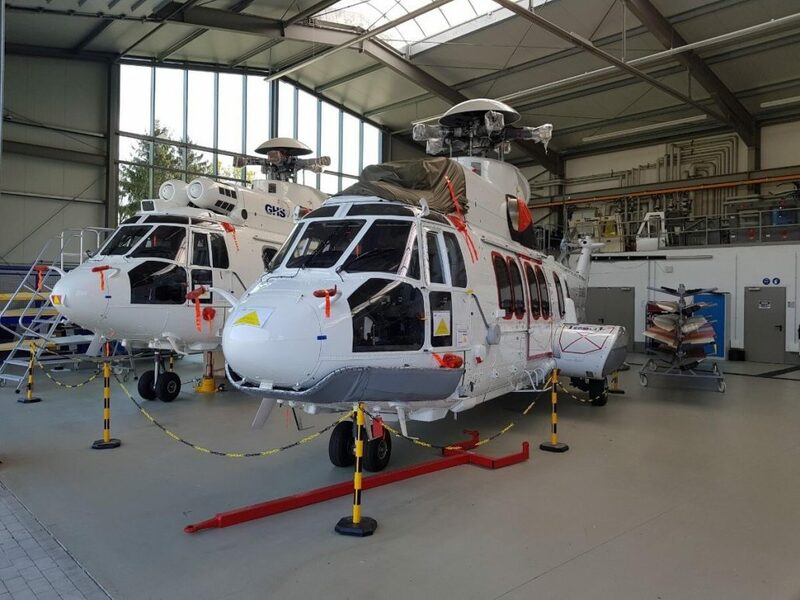 Currently, with our avionics engineers and eight personal H225 qualified maintenance team, we manage three H225 aircraft under our CAMO services and part 145 maintenance department. Two of which are in fully operational condition, another that is going through our Return to Service (RTS) inspection. Highly qualified GHS technicians provide maintenance services at our Part 145 facility, which is required to undergo regular quality audits, along with adherence to GHS safety principles and optimized task planning. Modifications and implementations of STC's. Base/Line maintenance performed by the GHS EASA Part 145 within CAMO guidelines. EASA-approved maintenance stations are available worldwide for any destination where services are required-whether an international airport or a remote desert location. At GHS we understand that proper storage is a critical factor in assuring an aircraft is maintained in a "ready now" status for immediate mobilization when required. In a climatized, clean and safe environment we provide all necessary measures to store the aircraft in line with manufacturer instructions. We focus in providing our services to our customers as simple as possible, we recognize and believe that our clients should not have to be troubled during any of the mobilization processes furthermore to allow them to remain focused on their daily responsibilities. With our extensive partnerships and expert logistics team, we can arrange all transportation requirements for aircraft mobilization from our clients' location to our storage and maintenance facility. Our goal is to provide a problem free experience for all our clients. Let us do what we do best to allow our clients to do theirs. Through our internal GHS Quality Control, we can ensure that service intervals are followed, and maintenance tasks are performed precisely to the manufacturer’s specifications.